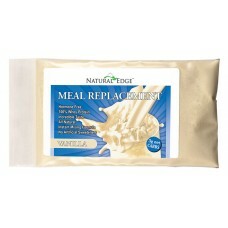 NATURAL EDGE® Grass Fed Whey Meal Enhancement formula is the ultimate body transformation meal replacement. Designed with specific proteins, carbohydrate and fat ratios, our blend provides a complete meal that can help you accomplish good health and fitness goals. NATURAL EDGE® Grass Fed Whey Meal Enhancement is a highly bio-available meal replacement that contains NO hormones, NO fillers, NO hydrogenated oils and NO hydrolyzed proteins. 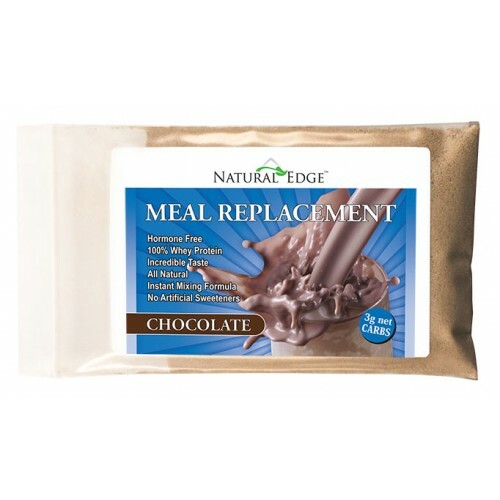 NATURAL EDGE® Meal Enhancement contains NO aspartame, sucralose (Splenda™) acesulfame potassium (ace-k), or artificial colors; it is enhanced with the natural sweeteners, Stevia (leaf), Lo Han and Xylitol. NATURAL EDGE® Grass Fed Whey Meal Enhancement drinks are derived with 20 grams of low fat, perfectly blended proteins, are gluten free and contains low glycemic carbs to form a uniform balance of blood sugar levels by using a variety of carbohydrates and fiber to improve overall energy and metabolism. NATURAL EDGE® Grass Fed Whey Meal Enhancement contains a Vitamin and Mineral Complex™ that provides 100% of the RDA of essential vitamins and is specifically high in the necessary mineral electrolytes Potassium and Calcium. NATURAL EDGE® Grass Fed Whey Meal Enhancements contain 6 grams of Glutamine and Glutamic Acid* per serving to aid in muscle construction and recovery and also contain high levels of the branched chain amino acids Isoleucine, Leucine and Valine. Our added EXCLUSIVE ENZYME BLEND™ contains Bioperine®, which can promote nutrient absorption, Lactase to help with the break down of milk sugar and Bromelain which can enhance digestion by assisting in the break down of protein. This blend assists in the complete break down and absorption of amino acids, vitamins, minerals and nutrients. Our NATURAL EDGE® Grass Fed Whey Meal Enhancement is instant mixing and the taste will amaze you!